We hope eveyone had a happy and healthy July 4th! 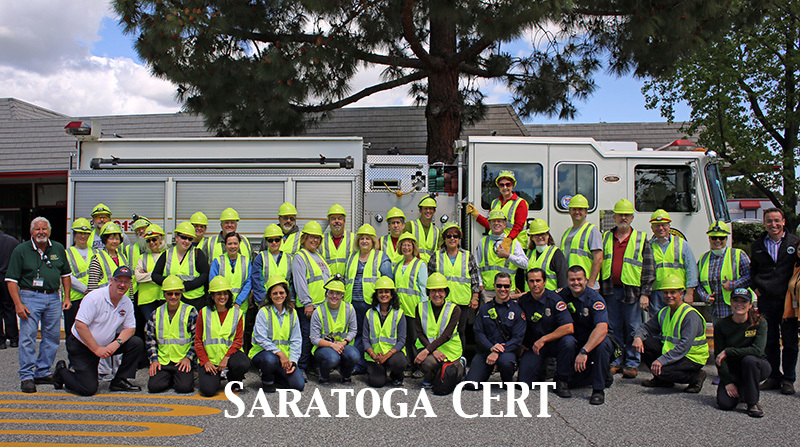 1) there will be no Saratoga CERT meeting in July, but the Saratoga CERT divisions will hold division meetings this month. 4) If you don’t have a current Disaster Service Worker (DSW) card, it is essential you get yours as soon as you possibly can – please contact Lori McKenna at 408-868-1240 to make an appointment. 5) Minutes from our June meeting can be found at http://saratogacert.org/2018/07/03/minutes-28-june-2018/ – and we urge you all to read them over.